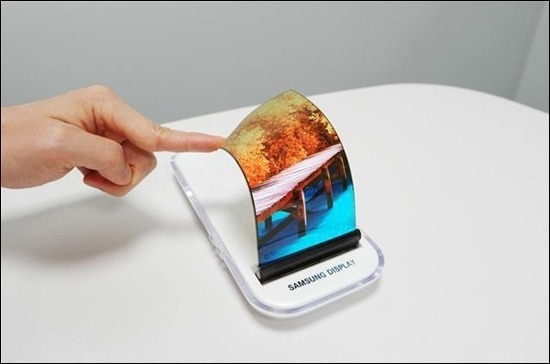 Two of Apple's competitors in the smartphone space —Samsung and LG —may launch their first foldable phones towards the end of the year, potentially dampening the "wow" factor of a redesigned "iPhone 8." Samsung is likely to announce a phone in the third quarter, sources told the English-language Korea Herald. The planned device will supposedly unfold into a 7-inch tablet, something so far unseen in the commercial space. The company is said to have finished development of "fold-in" phones around August, but realized a "fold-out" design would be more convenient, since fold-in requires a person to unfold a phone before it can be used. The switchover was easy, one source said. Although the product is technically complete, several sources said Samsung is holding off on a decision about releasing it this year because of potential profit and marketability issues. That decision should be made, however, after an executive shuffle of Samsung Electronics is carried out in February or March —it was originally due in December, but the company's alleged involvement in a political scandal with Korean President Park Geun-hye led to a delay. Only about 100,000 units of the Samsung phone would be available in the third quarter, one of the sources commented. LG is also starting with 100,000 units, but in the fourth quarter of the year, another source said. Despite plans to ship later, LG is claimed to have more advanced technology than Samsung, with a two- to three-year head start on development. The Herald suggested that LG could offer the technology to outside companies like Apple or Huawei. If so, Apple is unlikely to have any foldable products out this year —this fall's "iPhone 8" is expected to have a 5.1- or 5.2-inch curved OLED display, rather than a foldable one. Rumors have also pointed to it having a "glass sandwich" design with a stainless steel chassis in the middle, something inconsistent with foldable technology. Apple might be forced to wait until 2018, if not later.